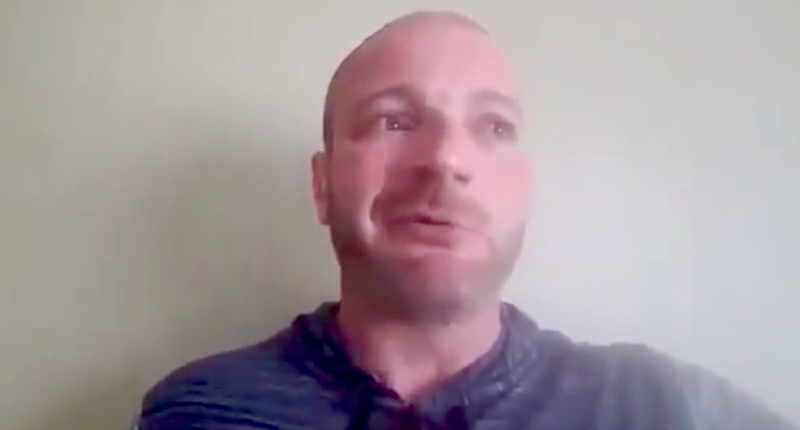 If he was crying last week over assuming he had warrants, neo-Nazi Christopher Cantwell is definitely shedding some big racist tears this week. Cantwell, who was infamously featured in a Vice documentary and attended this month’s racist Unite the Right rally in Charlottesville, Va., now has four arrest warrants issued by Albemarle County (Va.) Commonwealth’s Attorney’s Office. According to the New York Times, Cantwell faces four felony warrants related to the “illegal use of gases, and injury by caustic agent or explosive.” Cantwell’s arrest warrants stem from a photo being captured of him spraying pepper spray into a man’s face. It’s funny how a man who boasted about killing people didn’t want to get hurt. Hell, if you’re willing to be “Racist Billy Brags a Lot” on camera, a little pain shouldn’t hurt. Of course, Cantwell doesn’t think he did anything wrong. “I don’t think I did anything wrong, and I’m looking forward to my day in court,” Cantwell told the Times. He went on to say that he wasn’t scared, even though he was crying like a little punk just a week ago. Cantwell most recently wrote on his blog that it could be his last post because of the charges he’s facing.